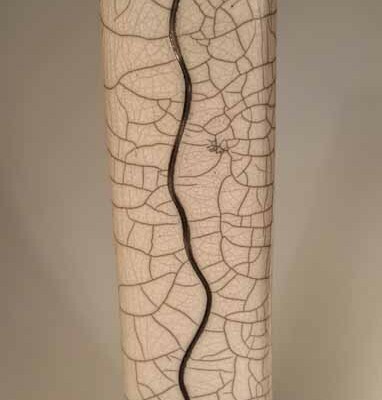 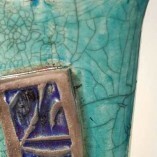 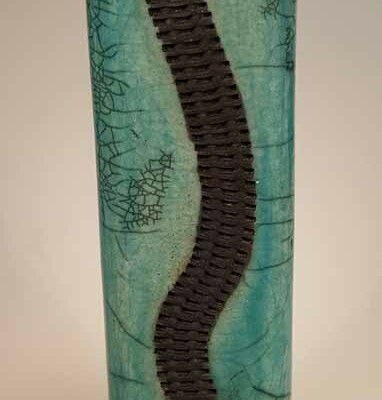 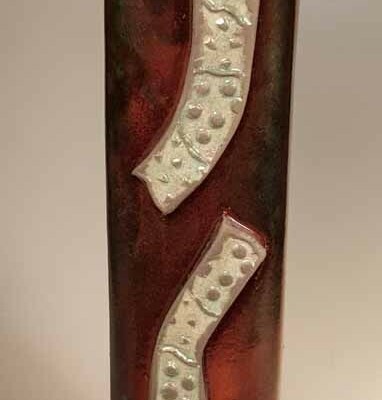 Always a favorite, this appealing rectangular vase shows off raku at its best. 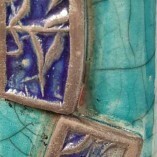 Lovely aqua and turquoise crackle glazes surround a pair of panels reminiscent of stained glass windows. 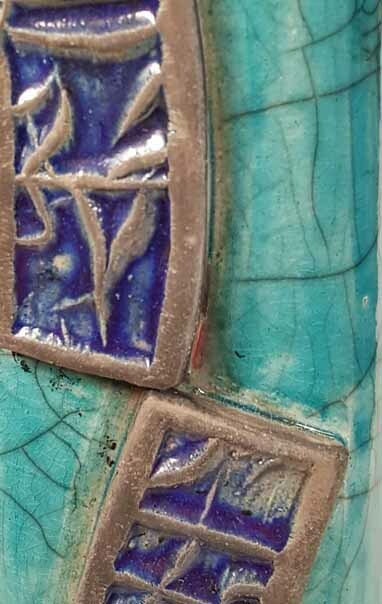 A rich layer of cobalt glaze fills the lower areas of the texture while smoked clay ridges complete the illusion of vintage leaded glass. 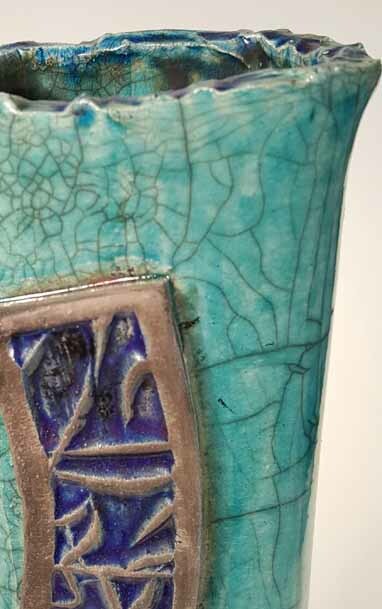 The stained glass texture effect is continued on the rim of the piece that is slightly expanded, thus producing a pleasing conclusion to this handsome work.